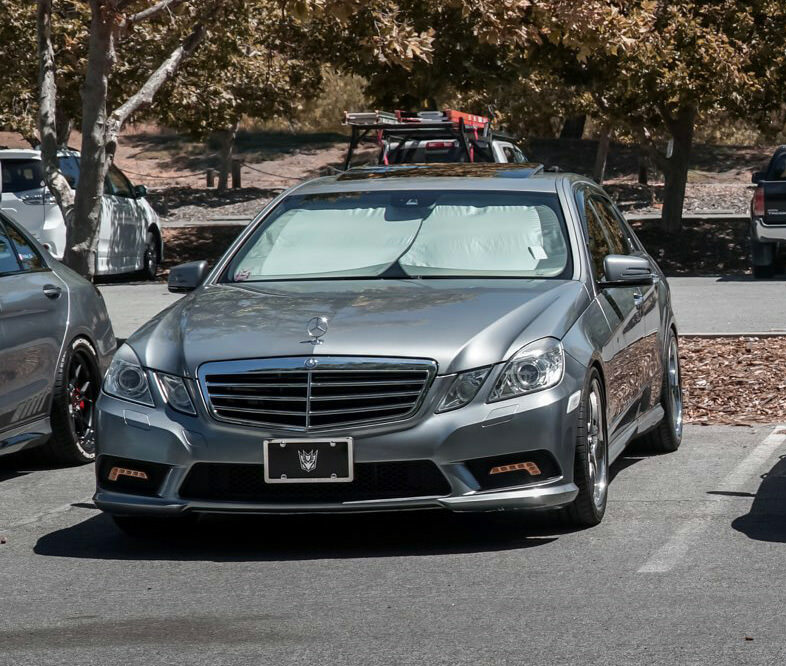 I’m planning to buy the 19” wheels soon and can someone help me with what size,offset, and tires size fit for 2011 e350 rwd? Also will be installing H/R spring. I have searched the thread but mixed information and doesn’t say rwd or 4matic that was chosen by people. If you are looking at aftermarket wheels you need to talk to the suppliers. They will have more fitment information for you. Obviously, your front wheels will be the one to watch most closely. It all depends on width. Stock offset is 48ET. I assume you want staggered as well. thank you for your reply and yes I’m looking for staggered setup. How wide can I go in the front/rear with h&r spring? It will help me if you can give me offset and tires size. I do not want spacer install. I’m not good when it come to wheels size. Last edited by rohanpatel14; 11-15-2018 at 08:45 PM. Not sure how helpful this will be since my car isn't exactly the same as yours. I have a 2010 RWD E550 on airmatic. These are my specs. Nice picture and car look good. I wish more e350 rwd can chime on here. It will be helpful for me. What is your stock offset on your car? Same as mine? How wide can I go on front and rear with what offset w/o spacer? Front: 255/35-19 on 19x9 et40 (or 19x8.5 et38). Rear: 285/30-19 on 19x10 et45 (or 19x9.5 et43). if i I go with 255/35-19*9 et40 and 285/30-19*10 et45 then I won’t have no issues with lowering spring install? Also no spacer necessary right? im sorry if I’m asking too much I just want to make sure n not run into the issues. Last edited by rohanpatel14; 11-19-2018 at 09:09 PM. He’s given you offsets that are pushing your wheels further out than stock as you asked. Why would you think you would need spacers? You could add spacers and then drop your suspension so your fenders sit right on top of the tires. That’s always a good look. i do not want to added a spacer so that why I asked and I see some people running into the issues with the wheels and ended up buying the spacer. I just didn’t want any issues. You've been given great information. I seriously don't think you understand anything about wheels/tires/suspension at all. Maybe you should just leave your car as is. lol I’m sorry. I’m going to stick with the size that was recommended by previous user.